In this book we’ve pulled together an irresistible collection of cookies for you to bake. We tried to avoid “regular” cookies and instead decided to provide you with a collection that is a unique as it is delicious. 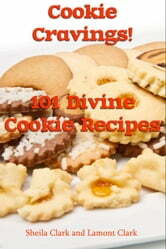 The recipes in this book will surely allow you to create a beautiful assortment of homemade cookies.